Preventative maintenance is one of those tedious but necessary functions of your business. Without it, you’ve got breakdowns, roadside violations, and extra expenses. When you use the right system, preventative maintenance gets done quicker and better, keeping your business moving. You know you need to do it but it’s easy to lose sight of why preventative maintenance is so important. Because it touches all parts of your business, it’s worth a reminder. You’ll have safer trucks out on the road. Your drivers will deal with fewer breakdowns. Fuel efficiency is better and fuel costs go down. You deal with fewer safety violations and the fines that come with them. Tape this list in your office or tattoo it on your arm, but remember why preventative maintenance is crucial to keeping your trucks and drivers on the road. If you’ve got a good shop or mechanic, you can relax a little and know that your trucks are in good hands. But it’s still important for you and your drivers to understand a little of what goes into catching and stopping problems early. Watch the tread and pull tires when it gets too low: 6/32nds of an inch for tractor steer tires and 4/32nds of an inch for tractor drive and trailer tires. Make sure air dryers and filters are serviced. Use more efficient oil and get regular oil changes. Check your truck batteries twice a year. Check over all electrical and lighting systems. Look for cracks, corrosion, loose connections, and more. A DVIR report is your first warning that things are going wrong and a problem is on the horizon for a truck. But sharing the information with everyone who needs it takes time. With the Gorilla Safety app, you’ve got access to an eDVIR system. As your driver sees problems, they can report it through the app. Your mechanic is notified and can let your driver know if they need to bring it in right away or if it can wait until they get back. Through the same app, both your driver and your mechanic can communicate about inspections and repairs. 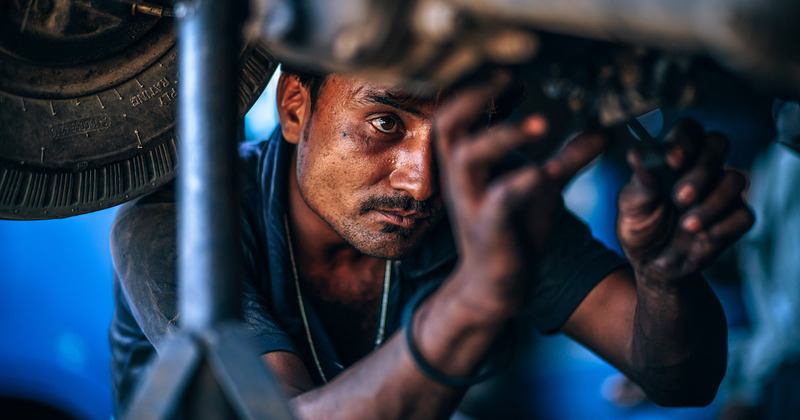 Once the truck is in the shop and the repairs are made, your mechanic updates the report and your driver signs off that the repairs are complete. You’ve got a full record from the first reporting of a problem to the repair. Even better, no one had to chase anyone down to get the work done. You can set up alerts or check the progress yourself to make sure nothing slips through the cracks. If your drivers know that reporting problems is easy and that repairs will get made as soon as possible, they’re more likely to be diligent on pre and post-trip inspections of their truck. You’ll get better information and your trucks will be in better shape. It’s a win for everyone – more time on the road, more money, fewer expenses, and the business keeps growing. The eDVIR and Mechanic Inspection feature of the Gorilla Safety app is just one way Gorilla Safety helps you. Want to know more and see what it can do? Contact us today.